I thought I'd get these posted before 'frankenstorm' hurricane sandy hits us. We're supposed to be without power for a few days here in the district, so we've been preparing here! 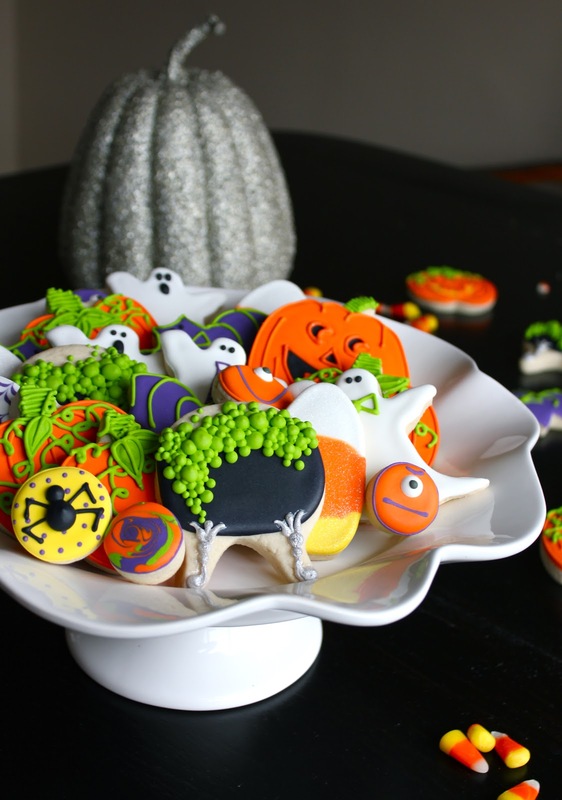 Last year I never got around to making Halloween cookies, so I've been looking forward to this for twelve months. I loved the way these turned out, they were really simple cookies to make in comparison to the last few cookies I've done. Prayers for all those so far effected by the hurricane and to all else, stay safe.